The new musical, which focuses on three drag queens on a road trip through the Australian outback, is set to a score of dance classics and has a tone hyper enough to make a dent on the Richter scale. Adams is meant to be the wildest of the bunch, which requires his disposition to be permanently switched to that of an entire kindergarten class on a sugar high. When it comes to his diet, Adams sticks to a high intake of protein through meat sources. (When asked, Adams said he couldn’t even think about the vegetarian/vegan route.) Despite his role weighing heavily on his physique, Adams enjoys his favorite indulgence—carbohydrates, such as pasta and pizza. “People hate to hear this, but I can eat an entire pizza after a show and it really wouldn’t make a difference,” Adams said with a laugh. 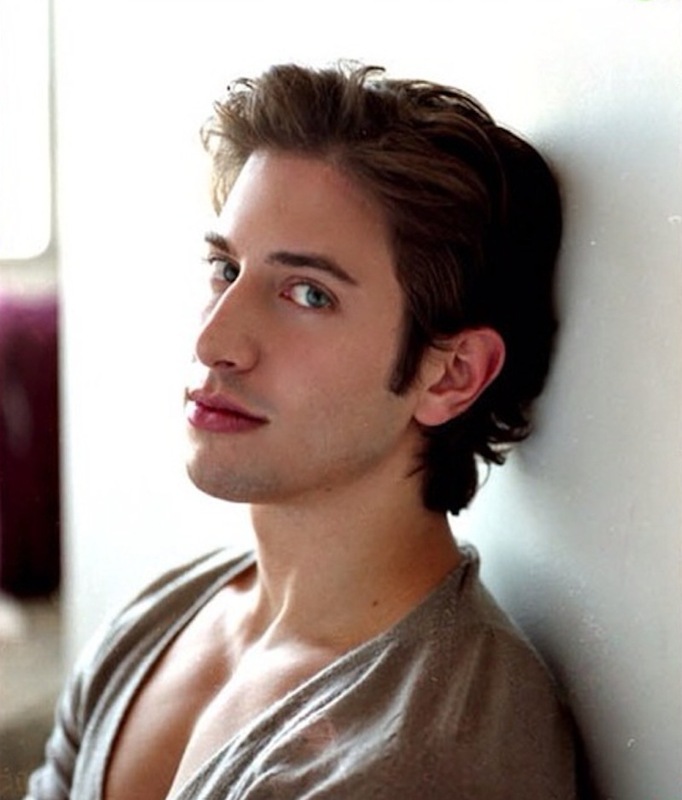 What do you think of Nick Adams’ story, Rushers? Were you surprised to know the details behind Adams’ fitness? How about how he brings Felicia to life every performance? Leave your thoughts in the comments below and tune into this week’s episode of Stage Rush TV for a fascinating segment with Adams about how actors are perceived in show business. I loved this interview. I am not a Nick Adams fan, but I really appreciate how he is so pragmatic about his body and not as vain as I expected. The glimpse into his dressing is also priceless. Love the interview and can’t wait to see more! I enjoyed Priscilla, and truly I couldn’t take my eyes off of Nick once he hit the stage. When I listen to the cast recording, his songs are the ones I repeat. Really hope he gets a Tony nom with the energy he brings to Felicia. It’s very enlightening to see men face similar social pressure to live up to and maintain physical standards in the public eye. If enough people gravitate towards a certain look that sets one apart from the crowd, who would ever want to just be lost in the crowd again? I can imagine being on display in those skimpy costumes forces Adam to work hard to achieve a healthy lifestyle from which he and his fans can both reap the rewards. Lifting weights plus eating pasta for an end result of eye candy is an equation few can resist. For as long as he enjoys the spotlight, Adam should continue giving the fans what they want. I bet Betty White cannot eat an entire pizza by herself…….. I am a huge fan of Nick and this made me love and respect him even more! thank you! Wow, I am really impressed by Nick! This is the first I’ve seen him on stage and I absolutely loved him as Felicia. The touching moment when he’s gay bashed, and how he deals with it after, is the mark of a great actor. I also loved him flaunting his physique and was fascinated to learn all of the different ways he’s dealt with his body in the past- in particular that he had to lean out (as opposed to bulk up) for this role. That actually surprised me. I was also fascinated that he got this role with the help of his fans on Facebook. And how grateful he is to them, I think that’s beautiful. I hope he gets the Tony nomination! Wow, that’s really impressive on his part. It’s great to hear that social media and fans speaking up can indeed make a difference. We’ve seen Priscilla 3 times and are going back for #4, all because of Nick Adams. He is incredible as Adam/Felicia. We hope he gets a Tony Award for his performance….GO Nick! Great interview! 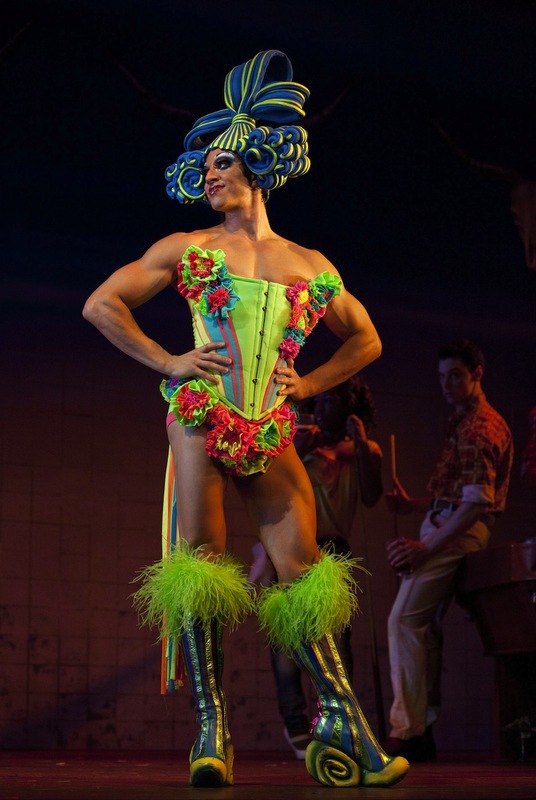 Nick Adams is terrific in Priscilla. I love “Material Girl.” It’s one of the sexiest production numbers I’ve ever seen on Broadway. And his give-and-take with Tony Sheldon throughout the musical is really funny.